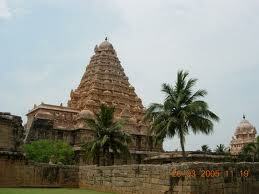 Here is Some Information about Gangaikondacholapuram Temple in Thanjavur Tamil Nadu India. Temple Timing:6.00 a.m. to 12.00 a.m. and 4.00 p.m. to 8.00 pm. 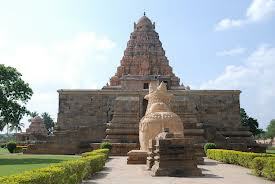 Gangaikonda Cholapuram Temple is known for its architectural work of genius. It is a located at Thanjavur (Tanjore) in Tamil Nadu, In the early 11th century, the temple got built by Rajendra Chola, who was the son and successor of Rajaraja Chola. The Shiva Linga in the temple is the biggest in size among the Lingas in Tamilnadu temples. This is made of a single lime stone 200 metres far from the sanctum sanctorum and placed on ground. Sun light falls on the Nandhi each day reflecting on the Linga. Even if all lights in the sanctum are put off, devotees can see the Lord in the sunlight. This is an outstanding evidence of the rare skill of sculptors of Tamilnadu with no parallel elsewhere. The shadow of the Kalasa on the tower does not fall on ground. A rare stone called Chandrakanta stone is installed under the Linga which has a strange characteristic of making the sanctum sanctorum cool in summer and warm in winter. Mother Periya Nayaki, as Her very name suggests, is 9.5 feet tall standing majestically. The Navagrahas the nine planets are made of a single stone on Lotus design peeta. This is other rare individuality of the temple. 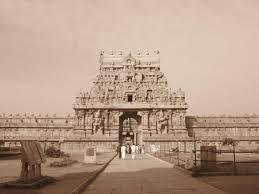 For about 250 years, the Chola clan had ruled over a large part of South India. 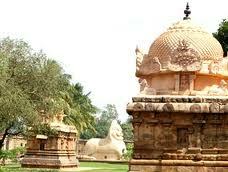 In those times, the Chola dynasty was at its apex and conquered many a parts of the northern territory. The wealth was brimming due to the outcome of their booming war operations. On one of the expeditions, Rajendra Chola brought Ganga water in a golden pot and consecrated the reservoir 'Ponneri or Cholaganga'. Consequently, Rajendra was been titled as 'Gangaikondan' (the one who brought the Ganges). The king wanted to erect a 'larger than life' temple corresponding to the Brihadeeswara Temple. During 1020 - 29 AD, Gangaikondacholapuram had seen its construction. The superb architecture of the temple boasts of a 9 storey vimanam that extends to the height of 185 feet. 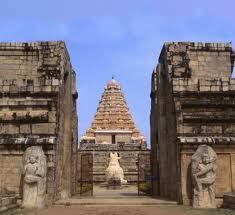 Facing the east direction, Gangai Konda Cholapuram embraces incredible sculptures and carvings. 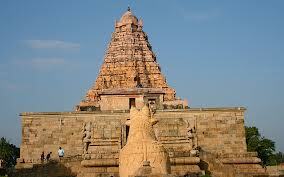 Not less than 54.86m in height, the temple structure follows the style of Brihadisvara Temple. 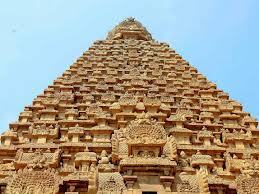 The whole temple is thrived with rich and intricate carvings that are exclusive to Chola style of artistry. Known to comprise a little northern style, the structure embraces intricate carvings in the Vimanams. The architecture is a portrayal of complex carvings on the hard granite stones, irrespective of the simple style of Cholas. Mind-blowing sculptures adorn the walls and ceilings of Gangaikondacholapuram. 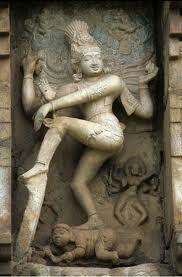 The creativity of sculptors is reflected in the figures of dancing Nataraja and peaceful Saraswati. 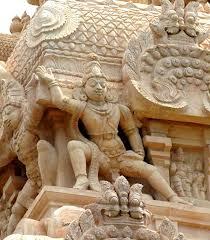 However, the sculptures erected here are as artistic as found in any other temples of Cholas. The most interesting are of Shiva-Parvati, Ardhanareshwar (the man-woman manifestation of Lord Shiva) and Ganesha. 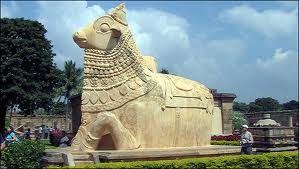 The colossal shrine also addresses several significant bronzes of the Chola age. 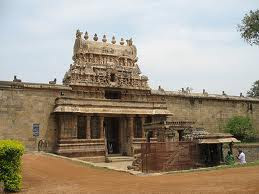 By Bus :Gangaikondacholapuram could be reached easily through regular buses that are available from the main towns and cities of Tamil Nadu. By Air:The nearest airport is atTiruchirapalli (230 km). From Tiruchirapalli, domestic flights can be taken to Chennai which inturn is connected to all the major cities in India and abroad through regular flights. By Rail:Chidambaram is connected with Tiruchirapalli, Chennai, Madurai, Rameswaram, Bangalore and Tirupati. 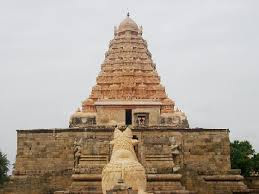 By Road:Frequent bus services are available to various places in Tamil Nadu, Andhra Pradesh, Karnataka, and Pondicherry states from Gangai Konda Cholapuram. There are non-stop bus services and express bus services to major cities like Chennai.